RAW Drive Recovery can be a simpler job. In this article, you will get to know what a RAW drive is and a safer RAW drive recovery tool compared to M3 RAW Drive Recovery. How Do I Recover Files from a RAW External Hard Drive? Something wrong happens to my Seagate external hard drive that becomes inaccessible now. Is there any approach to accessing my Seagate drive and recovering my data from the RAW drive? Help, please! When it comes to RAW drive recovery or RAW file system repair, it occurs to some of us that RAW recovery software is the most effective and convenient way to do the jobs, especially M3 RAW Drive Recovery. This idea is not wrong, but here we prefer to tell you more about RAW file system, an overview of M3 RAW Drive Recovery and the better RAW data recovery software - Recoverit to help you recover data from RAW drive in less than no time. Part 1. What Is a RAW Drive? Part 4. How to Recover Lost Data from RAW Drive? RAW drive, also called RAW file system, is the hard disk partition that is not formatted by FAT/NTFS file system. It can happen on any device, including computer hard drive, external hard drive, memory card, USB flash drive and so on. Different from FAT/NTFS file system, the type of file system can't be recognized by the current operating system. Accordingly, the data stored on the drive becomes inaccessible and hidden without RAW data recovery software. 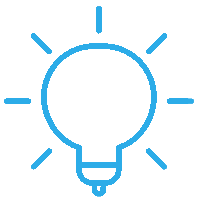 Numerous causes can result in a RAW drive and data loss. Here, the main ones are included. A hard drive is formatted incompletely or incorrectly. Bad sectors that can cause an unworkable hard drive. Damaged file system structure, such as DBR, MFT, FAT. Sudden power outage during the file transfer. Virus attack that can damage the partition table. Improper configuration of the partition access permission. Remove an external disk or memory card when in use. Unplug a removable device unsafely and improperly. Keep saving data to a nearly full hard drive. There are many error messages and symptoms that refer to RAW drive. Some of them are as follows. X:\ is not accessible. The volume does not contain a file system. Properties of drive shows no bytes and RAW file system. The hard drive can't be read or written. There is no disk in drive. Insert disk and then try again. You need to format the disk in drive X: before you can use it. When the error messages of RAW drive occur, your hard drive always can't be accessed. What's worse, the stored data is not available for you unless you use a reliable RAW disk recovery program to recover the hidden data. M3 RAW Drive Recovery might be one of your choices to do this job. However, due to the unchangeable limitations of M3 RAW Drive Recovery, especially in personal privacy, we tend to recommend more reassuring and trustworthy data recovery software - Recoverit Data Recovery, which is aimed at making RAW drive recovery much easier and safer. M3 RAW Drive Recovery software may be referred to as a professional tool that allows you to carry out raw recovery of your data from any partition that has become raw. It is equally beneficial for different types of external devices including pen drives, USB flash drives, external hard drives, RAW SD cards, etc. The M3 RAW data recovery tool is known to be one of the most effective ones used to perform raw data recovery of a local drive. Some useful details to help you understand its operations are provided in the sections below. Other similar problems like data breach, etc. If you are interested in regaining access to some of your important data present on a RAW partitioned local drive, it is strongly recommended to go for the alternative of M3 RAW data recovery license key gens rather than getting stuck with added complications. With the 96% data recovery rate, Recoverit Data Recovery software is a more effective and powerful tool in this regard. It is designed to recover data that got lost under any circumstances. 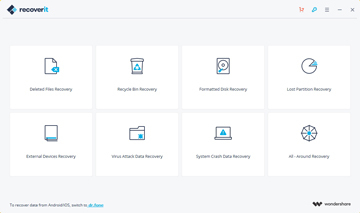 Regardless of the fact that you accidentally deleted it or lost to the corruption of a memory card, Recoverit RAW Drive Recovery tool can do it all for you. When it comes to recovering data from a RAW drive, it works like a charm. More suprisingly, it comes with a free trial version for everyone. You can free try it right now. You can watch this video tutorial to learn how to recover data from RAW drive with Recoverit Data Recovery, the best alternative to M3 RAW Drive Recovery. Now watch and follow it to fix your RAW drive and access the hidden data inside it. We also provide the stepwise guide to help you perform RAW drive recovery. Now free download and install Recoverit Data Recovery on your computer and follow the next simple steps to retrieve your data back. If your RAW drive is an external storage device, please connect it to the computer first and select the "External Devices Recovery" data recovery mode. To recover data from RAW external hard drive, this guide may come to your rescue: How to Recover Data from Raw USB Drive. If you wonder how to convert RAW file system to NTFS/FAT, this page will offer you clear and practical answers: How to Recover RAW to NTFS without Losing Data. 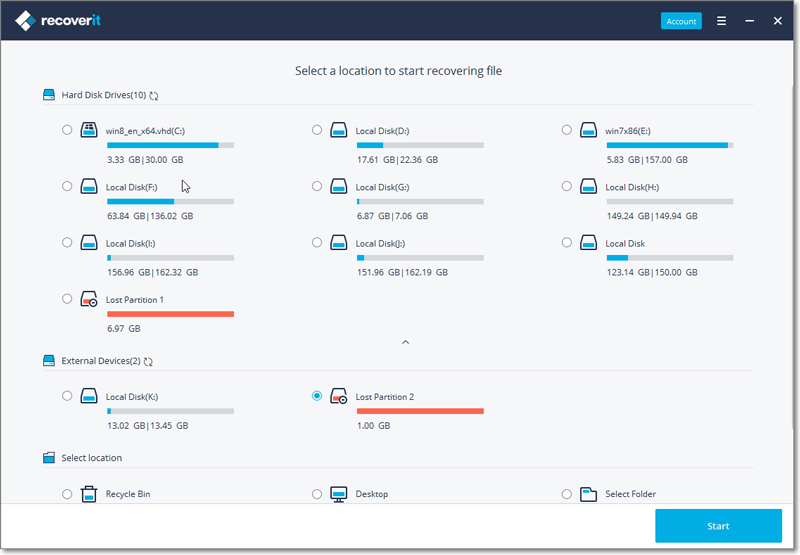 Launch Recoverit RAW Drive Recovery, and select a data recovery mode first. To recover data from RAW drive, you can select "Lost Partition Recovery" data recovery mode. All detected hard drives will be displayed on the below screen. Please select your RAW drive disk on the list, and click "Start" to scan lost data. 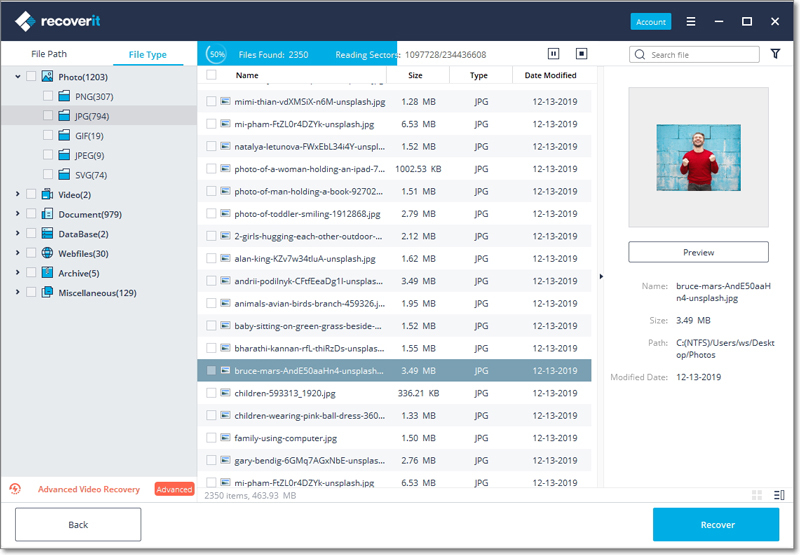 Recoverit hard drive data recovery software will start scanning your RAW drive to search lost files. It will take a while to completely scan. 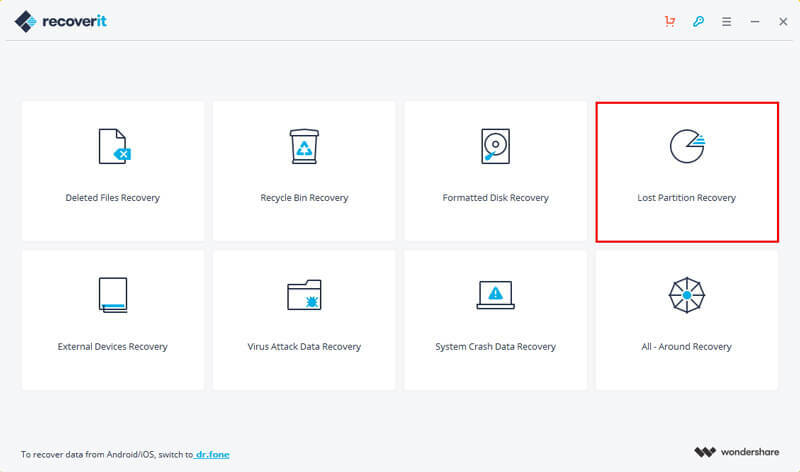 After the first can, if you cannot find your data, you can go to scan again with "All-Around Recovery" option which will deeply scan and search more data from your RAW drive. After the scan, you can preview the recovered files like JPEG, JPG images files. Select your target files and click "Recover" button to save these recovered data. Take the four simple steps and you will find RAW drive recovery an easy job. Do not confine yourself to M3 RAW Drive Recovery and it's high time you make the better option - Recoverit Data Recovery. It boasts a 96% recovery rate, features a free data recovery version, and supports to recover 500+ formats of data files, including photos, videos, audios, office files and so on. Wonderful free RAW drive recovery software, isn't it?